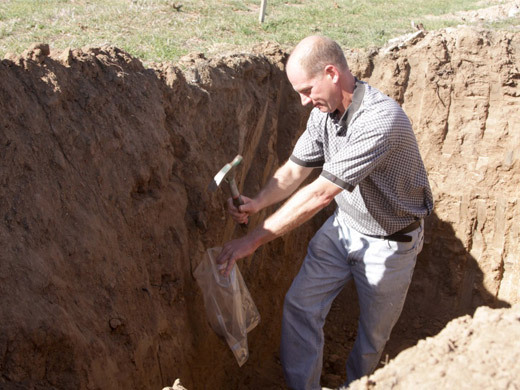 Happenings in the Vineyard: What’s Mark Schabel Doing in a Hole? Our analysis of this soil concluded that it is predominantly sandy, porous (good drainage), and low in nitrogen and calcium. What this means to us is we have blending material. What does this all mean to you? You’re looking at some fine Sangiovese for our Sangiovese and Super T wines in the future, ladies and gentlemen.